I personally have felt the wrath of cystic acne. Those painful deep papules that linger beneath the skin causing pain and embarrassment. Besides a cortisone shot at your dermatologists office (my doctor doesn’t even offer same day appts-sigh) I have pieced together some options to help those painful cysts dissipate faster. Drawing salve uses ichthammol & arnica as well as other ingredients to help eradicate many different skin ailments-from bee stings to acne. It has anti-bacterial, anti-fungal, and anti-inflammatory properties making it a great treatment for acne. I will be honest this stuff is messy and it doesn’t smell very pleasant. Wash the inflamed area, apply the salve then bandage. You can do this 2x a day. It really does help draw out the infection healing painful cysts in a matter of days instead of weeks. As soon as I feel a painful cyst forming, I immediately ice the area to help with inflammation and reduce swelling. It also provides a temporary relief from pain. I then apply hydrocortisone to further help with inflammation. The ice helps to thin the skin allowing the hydrocortisone to penetrate better. Makeup Artist’s Choice is a great and inexpensive way to purchase at-home chemical peels. I always keep a 12.5% TCA peel on hand for the spot treatment of cysts. I apply to the infected area only with a q-tip. Almost immediately the cyst becomes inflated. Please know that TCA will cause the area to scab but I would rather deal with a scab then a painful cysts for a few weeks! Well it’s been over 2 months since I stopped using blushes that contain red dye and I have to say that my breakouts have diminished quite significantly! I did purchase additional blushes that do not contain red dye. Most of these blushes are mineral based such as Youngblood Comsetics and Lucy Minerals. I also managed to score a cream blush from Vapour Organics. Again no red dye and even the pressing agents are non-comedogenic which is quite rare for a cream blush. If you have a favorite blush that is free from red dyes, please let me know as I’d love to find more. Oh teenagers! What fun it is to be surrounded by a pubescent teen. Not only are they experiencing difficult hormonal fluctuations but then they become plagued with adolescent pore structure. Once the pore structure begins, teens may experience breakouts on their nose, chin, and forehead. Usually it’s minor and might consist of blackheads (open comedones) and papules. A blackhead forms when a pore is large enough to hold onto all the waste inside the pore. Since the pore opening is large, the impacted waste is exposed to oxygen, which causes the sebum to turn brown. A papule is an inflammed (red) bump that might be sore to the touch and lacks a whitehead. You might also hear people say that they have a zit that won’t come to a “head”. They are referring to a papule. During the papule stage, the white blood cells arrive to fight infection. When enough arrive, they may form a cluster that will rise to the surface. The papule then becomes a pustule, which forms a “head” filled with pus. Papules are sore because they are deeper in the skin affecting the nerves. When the papule rises to form a pustule, it’s closer to the skin surface so relieving pressure on the nerve. Young boys may become afflicted with Keratosis pilaris in the lower cheeks. When beard growth starts, the follicles are too small to harbor the hair which leads to irritation and pimples. Adults might notice Keratosis pilaris on the upper arms and the back of the legs. It is also known as “chicken skin”. The best treatment is use of alpha hydroxy acids or mechanical exfoliation. It’s important for teens to develop a proper skincare routine. They will need to wash their face twice a day with a gentle cleanser. A toner for oily/combination skin will help control oil and ensure their skin is clear of debris. An alpha hydroxy or salicylic acid treatment can also be used as long as it’s in a gel form. Benzoyl peroxide can be used as a spot treatment if necessary. It’s important that teens also use a broad spectrum sunscreen. The use of chemical exfoliants will cause skin to become sun sensitive, but also sun damage produces cell build-up which will ultimately lead to more breakouts. Do not listen to the old wise tale that the sun dries up acne. As soon as the tan fades, not only will you be afflicted with sun damage and high risk of melanoma but you will also notice more and more breakouts. Now I will talk a little about nutrition and diet. Studies are iffy on whether or not chocolate and greasy foods lead to acne. They do lead to an increase in insulin levels, cholesterol, and triglycerides which ultimately plays a huge role in the health of our bodies-both inside and out. Iodides may cause acne flare-ups in some individuals. Foods high in iodide include shellfish, kelp, squid, asparagus, and iodized salt. I’m not saying to give them up 100% but perhaps try lowering your intake of these foods to see if it helps with flare-up. Also a big topic today is hormones in foods, especially dairy. Non-organic dairy foods seem to cause a great deal of acne flare-ups in girls and women due to presence of hormones. Try organic dairy to see if flare-ups decrease. I advice against soy since soy naturally contains estrogen. There has been a huge increase in acne affecting more women in their adult years. Most adult women think clear skin is on the horizon once we escape our teens, only to find that’s not the case. I had picture-perfect clear skin in my teens and early twenties. In fact, I was often told how beautiful my skin was. In my mid-late twenties I began experiencing adult acne. Painful papules on my chin and cheeks plagued me for days. I began seeing an aesthetician in Charlotte, NC for blue light therapy, dermaplaning, chemical peels, and even laser therapy. Jill helped me control my breakouts and scarring and also interested me into going into the business. Shortly after, I had planned my move back to my hometown. With the stress of moving, selling my house-all with two kids in tow, my stress levels were through the roof. By the time I was in Virginia, my face had erupted into painful breakouts all over my face. At the insistence of my grandmother, I made an appointment with a dermatologist. I saw the PA, Michael, who prescribed Solodyn and Retin-A Micro. My skin is thick and not sensitive, but I could not handle the irritation from Retin-A. I did remain on the Solodyn, which kept me clear for a year. When I became pregnant with my youngest daughter, my skin cleared and glow, as if I were in my teens again. I had no acne, no excessive oil , no worries. About three months postpartum, my skin returned to it’s “usual” routine. Adult acne is so difficult to treat since it’s mostly caused by hormones. Stress is a culprit, since it triggers our brain into producing hormones, which causes a mass oil production. Birth control pills are another factor. They can trigger an androgenic (male hormone) flare-up which can cause acne. Menopause can lead to severe acne, since the body is going through permanent hormonal changes. Having a proper skincare regimen is important when treating adult acne. Here are some ingredients used to treat acne. ~Benzoyl Peroxide– available in 2.5%, 5%, and 10% concentrations. It is a keratolytic, which means it dissolves keratin. It works by breaking up dead cells that have become trapped in pores. It also releases oxygen into the pore. Acne bacteria cannot survive in the presence of oxygen. ~Salicylic Acid– a betahydroxy acid (bha) that sheds dead cells that have become trapped in the pore. It is touted as being milder than benzoyl peroxide. BHA is used in over the counter products in concentrations of 1% or 2%. ~Sulfur- is used to exfoliate pores and it also has antibacterial properties. 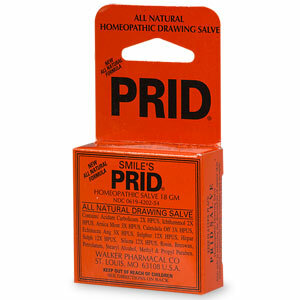 It’s not as irritating as benzoyl peroxide so this is very popular with adult acne-sufferers. It can be found in concentrations of up to 10% and is mainly used in masks. ~Sulfur mixed with Resorcinol- Resorcinol is a known peeling agent that can be found in a Jessner’s chemical peel. When it’s mixed with sulfur, it’s anti-acne properties are increased. Sulfur-resorcinol is often found in “drying” potions. It should not be used on large areas of the body or broken skin due to toxicity. Finding the right brand or product will take trial and error. If breakouts are not lessened by use of topical treatments, then it is wise to visit a physician to rule out any hormonal disorders. I have been battling breakouts for the past 6 years. Usually my acne is located on my chin and forehead but lately I have been plagued with closed comedones on my cheeks. I knew it was time to figure out the cause (s) since no matter what treatment I used, those pesky bumps remained on my cheeks. I have come to the conclusion that my beautiful assortment of blushes are the enemy in this battle. The main culprits of cheek breakouts are blushes that contain red dyes, which might be listed as D & C red dyes. These dyes are derived from coal tar, which is highly comedogenic. An organic pigment that can be used in place of red dye is carmine. Carmine is more expensive that red dyes and it does not produce a vivid color pay-off that results from the use of red-dyes. Another culprit is the pressing agents used to give the product a cake-type consistency. Most often, the pressing agent used in blushes are emollients, so we have to be on the look-out for comedogenic emollients. Lanolin is commonly used as an emollient, but in it’s purest form, there is a small chance of it clogging pores. However, when lanolin is chemically altered into lanolic acid, isopropyl lanolate, and acetylated lanolin alcohol, then it is highly comedogenic. Other comedogenic emollients include these Fatty Alcohols: oleyl alcohol, isostearyl alcohol, and octyldodecanol. Be on the look out for comedogenic Fatty Acids which provide cosmetics with a creamy consistency. They include oleic acid, lauric acid, isostearic acid, palmitic acid, and myristic acid. Finally check for Fatty Esters which helps cosmetics feel less oily. The comedogenic esters include isopropyl myristate, isopropyl palmitate, octyl palmitate, isopropyl isostearate, decyl oleate, sorbitan oleate, isopropyl lanolate, isopropyl linoleate, butyl stearate, and myristy myristate. Also check for squalene, which is primarily obtained from shark liver oil. It is used to soften the skin in cosmetics and is highly comedogenic. Olive oil and cocoa butter might seem harmless but they are both also very comedogenic. After going through my blushes, I discoverd that I own only one that would be safe for my skin. That blush is Physician’s Formula Mineral Glow Pearl Blush. I’m going to try using this blush and see if my cheek breakouts clear up. I have now discovered that finding a true non-comedogenic blush is like finding a needle in a haystack. I have found some that contain organic carmine and no red dyes but they are loaded with other comedogenic ingredients. It seems that mineral blush might be the best option, but still read the label. Also just because a product is advertised as being “natural” doesn’t mean that it won’t clog pores or cause irritation, so again read the label. If you have a blush that is free of all pore-clogging ingredients, please contact me.